French Interrogative Adjectives (les adjectifs interrogatifs) are words that are used to ask questions. (They interrogate!) Asking different kinds of questions will help you manage every kind of day-to-day interaction in French. You need to ask questions in order to find out what’s going on! In English, we use helping words like DO / DOES or AM / IS / ARE when asking questions. In French, this is not necessary because it’s implied in the question. French interrogative adjectives often – but not always – appear at the beginning of the sentence. When asking questions in French, the subject (the noun or pronoun that’s being identified) is often placed after the verb (inversion). The interrogative adjectives QUEL / QUELS / QUELLE / QUELLES must agree in number (singular or plural) and gender (masculine or feminine) with the noun that follows it. These interrogative adjectives can be used in questions formed by either (a) intonation (rising voice inflection), (b) est-ce que (or est-ce qu’), or (c) inversion. Quels sports est-ce qu’il aime? Which sports does he like? What is your (informal) phone number? À quelle heure est-ce que la classe commence? At what time does the class begin? Tu fais les courses dans quel supermarché? You (informal) go grocery shopping in which supermarket? For which exams are they studying? QUEL / QUELS / QUELLE / QUELLES can also be used in exclamations. Here, the implication may be either positive or negative. Quel bizarre! : How weird! Quel dommage! : Too bad! / What a shame! Quelle horreur! : How awful! / How terrible! Quelles jolies robes! : What pretty dresses! 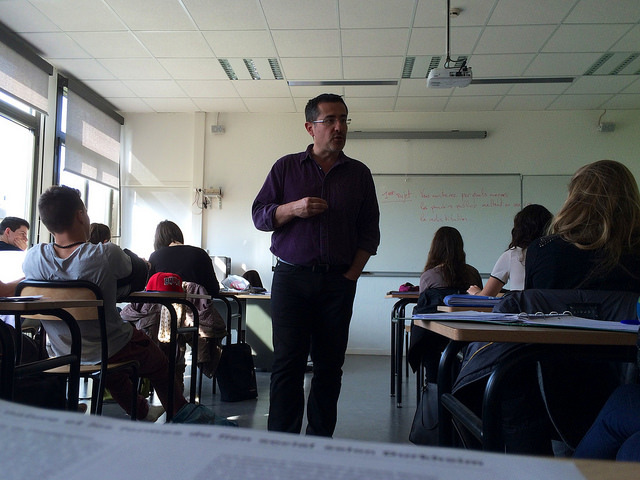 Quel est le nom de votre professeur de français? What is the name of your (plural) French professor? Quels cours prend-il ce semestre? Which courses is he taking this semester? Avec quelle main est-ce que tu écris? With which hand do you (informal) write? About which women are you (formal) speaking? YouTube / Speakado French: Quel âge avez-vous?